Unique Opportunity To Purchase 2 Beautiful Custom Waterfront Cottages. 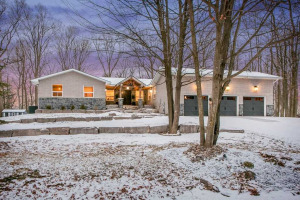 Enjoy Stunning Views Of Lake Simcoe. Dock In Place & Ready For Your Boats. Both Properties Are In Wonderful Condition. This Is A Double Lot Featuring One Cottage Backing Directly On To The Water, The Other Cottage Sits Behind On A Separate Lot. There Are Various Updates And Recent Renovations Throughout These Cottages. Both Cottages Are Being Sold As 1 Single Property. One Cottage Is Well Over 3000 Sq.Ft. The Other Cottage Is Over 2500 Sq.Ft. 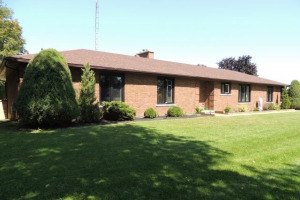 Amazing Opportunity To Purchase This Property. Great For Large Families. 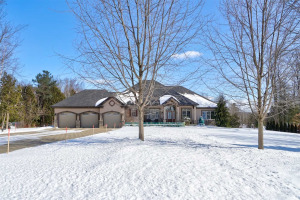 This Location Is One Of The Most Sought After Locations On Lake Simcoe.